Want to see some spectacular views… by car? 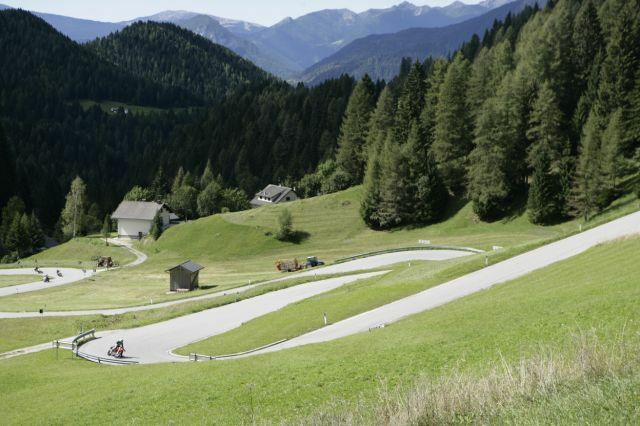 The Great Dolomite Road runs 65 miles through some of the finest alpine scenery in Europe: Belluno–Cortina d'Ampezzo–Pordoi Pass–Sella Pass–Val di Fassa–Bolzano. For even more gorgeous views, you can take a cable car up from the pass to the summit of Sass Pordoi. And, of course, there are plenty of hiking trails! At 7,346 feet it is the highest surfaced road traversing a pass in the Dolomites. In the spring and early summer, passes labeled private://closedprivate:// are often bare, dry, and, as far as local drivers are concerned, wide open. 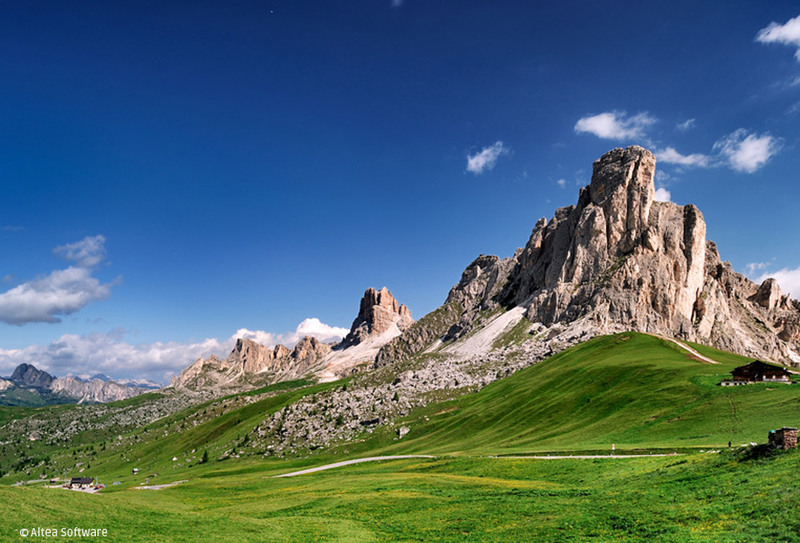 Conveniently for Italian tour operators, no direct public transportation route covers the Great Dolomite Road. The Sass Pordoi cable car takes you in few minutes from the Pordoi Pass to the summit of Sass Pordoi, where a beautiful view of all the Dolomites is available all around you. You can get to the summit, perhaps eating at the restaurant, and descend again with the cable car, or you can descend by foot along one of the three following itineraries. The Sass Pordoi is an ideal starting point for hikes to Piz Boe, to the mountain passes Gardena and Campolongo and to Colfosco through the Val Mezdi. No public transport through the entire route. One way 8,5€, Return ticket 15€.